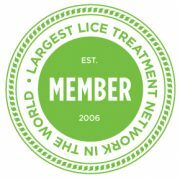 Hearing the word Lice makes everyone itch and squeamish. As a parent, you are instantly in panic mode and how are we going to keep washing everything and combing and trying not to get our other kids infested or friends? We went last night and it was such a relief. Kelly and Molly put us at ease and made us feel like it's not a big deal and it can be easily remedied. We didn't feel gross. I had treated the hair the night before with RID, cut over 6 inches of her hair, and combed for 3 hours. They still found live lice and eggs. They walked us through each part of the 3 part process. Explaining and making sure she understood what they were doing. Showing us through a magnified view the differences of hatched eggs, etc. If you are reading this that may gross you out but now after being at the clinic, I can talk about it and be okay. Kelly explained to me what our home care needed to be, debunked myths, and I felt extremely confident and knowledgeable. They sent us home with a Certificate of Treatment that we could take to school. To be able to come home and know 100% that we were lice free is such a relief and we can get back to our life. Thank you so much Kelly & Bess for providing peace of mind and making all of my family critter free! For ANYONE who has the unfortunate experience of dealing with lice, make this your first stop! The ladies are amazing and we felt fantastic leaving knowing that we are in the clear! Thanks again ladies!! So amazing.. friendly.. professional.. they welcome you in like your family. If you think you have it they will check you. Totally worth the money.. If I could give more then 5 stars I would!! Thanks ladies!! The service was absolutely amazing! I have nothing but great things to say. I learned so much in the little over an hour we were there. It is definitely worth the money to have the peace of mind knowing that everything is all taken care of after the treatment. I will for sure be recommending this to anyone I know that runs into this issue. DUBUQUE, BARNEVELD, CASCADE, CUBA CITY, CEDAR FALLS, DARLINGTON, DODGEVILLE, DYERSVILLE, EPWORTH, FENNIMORE, FREEPORT, GALENA, GUTTENBERG, LANCASTER, LENA, MANCHESTER, MAQUOKETA, MINERAL POINT, MONROE, MONTICELLO, MT. HOREB, NEW GLARUS, PLATTEVILLE, SHULLSBURG, STOCKTON, WARREN, and WATERLOO. ADEL, ALLEMAN, ALTOONA, AMES, ANKENY, BAXTER, BERWICK, BONDURANT, BOONE, BOONEVILLE, BOUTON, CAMBRIDGE, CLIVE, COLFAX, COLLINS, COLO, DALLAS, CENTER, DAWSON, DE SOTO, DES MOINES, ELKHART, GILBERT, GRANGER, GRIMES, HUXLEY, JOHNSTON, KELLEY, LINDEN, MADRID, MAXWELL, MELBOURNE, MINBURN, MINGO, MITCHELLVILLE, MONROE, NEVADA, NEWTON, OGDEN, PERRY, PLEASANT HILL, POLK CITY, PRAIRIE CITY, REDFIELD, RHODES, RIPPEY, RUNNELLS, SHELDAHL, SLATER, STATE CENTER, URBANDALE, WAUKEE, WEST DES MOINES, WINDSOR HEIGHTS, AND WOODWARD.